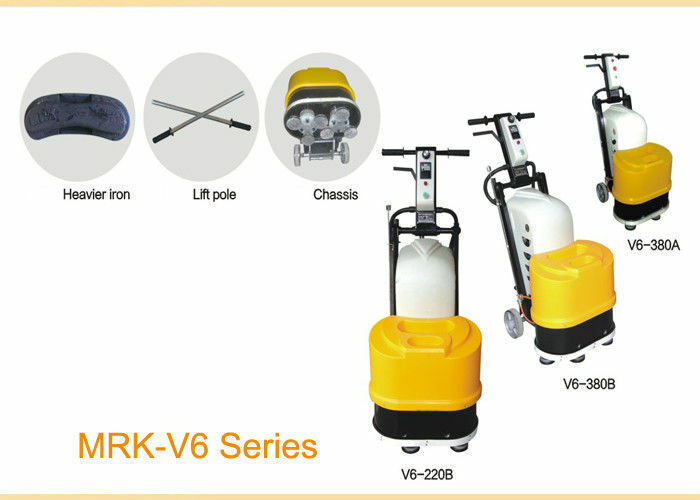 Application and function: stone leveling, stone grinding, concrete grinding, concrete polishing, high-speed railway beam surface grinding, also apply to remove the old coat etc., very high efficiency, best effect. A larger cross chassis is to improve the work efficiency, speed increases 180 rpm/min, improve the working efficiency and make better construction effect. This V6 is one of the most efficient of the 6pcs grinding discs stone grinding machines currently.